On December 05, 2005, Ratan Tata was awarded the “Quality of Life Award” at the United Nations in New York. AU’s College of Human Sciences launched the International Quality of Life Awards as an annual occasion to honor people and partnerships who make significant contributions – in the spirit of the College’s own mission – to individual, family and community well-being and quality of life locally and internationally. 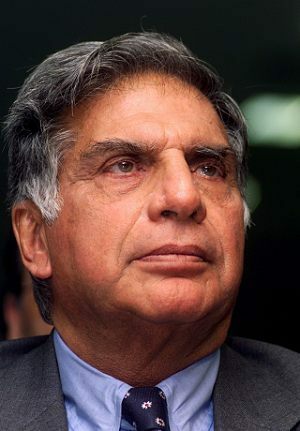 The 2004 honoree – deferred from the previous year – is Ratan Tata, chairman of the Tata Group, India’s largest corporation and one that exemplifies corporate philanthropy. The Tata Group returns two-thirds of its profits to the people of India in the form of improvements and contributions that benefit education, health, arts, culture and environmental conservation. Kissinger will present Tata’s award. Past honorees include Archbishop Emeritus Desmond Tutu of Capetown, South Africa; Madeleine Albright, former U.S. Secretary of State; Don Logan, Chairman, Media and Communications Group, Time Warner; Lawrence Klein, Ph.D., Nobel Laureate in Economics; and Catherine Bertini, Executive Director, United Nations World Food Programme. More on Ratan Tata here, here, and here.